A CS Lewis Scholar recently found an unknown vinyl record of a CS Lewis radio broadcast for sale on eBay. The record has several of his lectures that were broadcast to Iceland. The British invaded Iceland during WWII to prevent the Nazi’s from gaining the upper hand in the North Atlantic. Lewis’ role was to try to further the peace between the British and the people of Iceland via literature. A fascinating episode of history. This is a list of discussion questions to help work through the content of the book “Essentialism” By Greg McKeown. Recreation and play does not threaten a productive life, it is vital part of helping us grow and become more creative. Author Ken Robinson has expressed how our education system is killing creativity in children. This transformation arrived with the Industrial Revolution. Stuart Brown and the National Institute for Play. He has published scientific research about the impact of play on our brains. The correlation between survival in animals (like the grizzly bear) and rates of survival. Edward M Hallowell, psychiatrist, speaks about the effect of play on the executive function of the brain. Throughout history many great discoveries happened during times of play. McKeown defines play as, “Play, which I would define as anything we do simply for the joy of doing rather than as a means to an end.” What are some activities in your life right now that fit this description? Use this definition to make a list of things you have done in the last 6 months for play. As children we did not need to be taught how to play. Children play at all times, even during sickness and tragedy. What does this suggest to you about the importance of play? It is easy to view play as a waste of time. Highly driven people and teams may even consider it something trivial or unproductive. What is your view? How do you feel about playing? What does your inner voice say to you when you stop work to engage in recreation? What pressures or beliefs are communicated to you by your peers and culture regarding play? There are some people that are “all play and no work.” These excesses may prevent us from seeing the virtues and benefits of play. Do you know someone in your life that is a productive and playful person? Someone who is highly effective and yet takes time for hobbies and recreation? Describe this person and their productivity as well as their play. The author uses the term imaginative play. What does this mean to you? Is there a difference between imaginative play and other kinds of play? Is one better than the other? Sir Ken Robinson says that imagination produces achievement. If imagination is a muscle, then play exercises that muscle. Do you agree with this? Why? In your experience how has play helped you to develop your imagination? You have probably heard someone explain how they ruined a hobby by turning it into a “for profit” business. How can you guard your important hobbies or play from the obligations that might destroy them? Stress kills creativity. Play can help to decrease stress. What stresses are you facing currently? How can you use recreation and play to decrease your stress? Which activities help you to feel light and free? Which activities help you to forget your problems? Many great discoveries and inventions happened during play. Have you ever had a breakthrough during a time of play? Many successful companies incorporate play in their corporate structure. Examples include Google, Twitter, Apple, etc. does your business or work encourage play? Why or why not? How can you add these activities to your calendar next week? Which activities were your favorite as a child? Explore this. Does this play history reveal anything about you or what you enjoy doing? How can you use this knowledge to help you learn how to play as an adult? Is Hearing More Important Than Seeing? This is a quote from “Minute of Margin,” a book by an author that has had a huge impact on my thinking. My wife and I are currently reading the book together for the second time. It is about overload, burnout, and the peaceful life. Dr. Swenson wrote another book called “Margin” that covered the same general topic. But he turned the content into daily readings for more accessibility. Evidently most of the people that need to hear about rest and margin are too busy to read a whole book on the topic. Swenson, Richard A. A Minute of Margin: Restoring Balance to Busy Lives. Colorado Springs, CO: NAVPRESS, 2003. Print. Joseph Stalin was a monster who often treated his friends worse than his enemies. What was it like to be his daughter? Horrible. Here are some snippets from a NYT review of a new biography on Stalin’s Daughter. It looks fascinating, but at over 600 pages, only serious history lovers will read it. But it looks fascinating. “But as she [Stalin’s daughter] gets older, she starts seeing and hearing more, and sinister shadows creep into the light, dimming it little by little. The aunts and uncles begin to vanish one by one. Her grandmother says: “Where is your soul? You will know when it aches.” Her mother draws a little square over the child’s heart with her finger and tells the girl, “That is where you must bury your secrets”; then, before the girl’s seventh birthday, she shoots herself in her own heart with a Mauser pistol. The little girl’s world is shattered, never to be the same. Troubled and lonely, she will spend decades trying to escape the horror of her past, the terrible weight of history. “You can’t regret your fate,” she will say later, “though I do regret my mother didn’t marry a carpenter.” She is Svetlana, her father is Joseph Stalin, and her extraordinary story is the subject of “Stalin’s Daughter,” Rosemary Sullivan’s thoughtful new biography. via ‘Stalin’s Daughter,’ by Rosemary Sullivan – The New York Times. I have a 1-year old chocolate colored poodle. She’s a great dog and she’s always happy to see me. Wait, that’s an understatement. She goes nuts when we come home. She is so excited that often she wets herself. We feed her, and pet her. We take her for walks occasionally. We play with her and hang out together. And that’s enough, she thinks we are wonderful. She jumps on the bed in the morning and licks my face to wake me up. She always wants to play. And even when we aren’t playing she just wants to be near me. She follows us around the house and lays at my feet. And all her enthusiasm and love is great for my self-esteem. And she does this even when we ignore her. Sometimes we have to lock her up in a crate for most of the day to keep her from destroying the house. But when we come home and let her out, it’s a celebration. For some Christians, this is a close description of how they understand God’s love. He is really excited about us, makes hardly any demands, and won’t mind if we lock him away in a crate when we have better things to do. They have attempted to tame God, and as a result his love is… Well… Just okay. But it doesn’t match the love we see at Calvary where we see Christ pouring out his life for an unfaithful spouse. 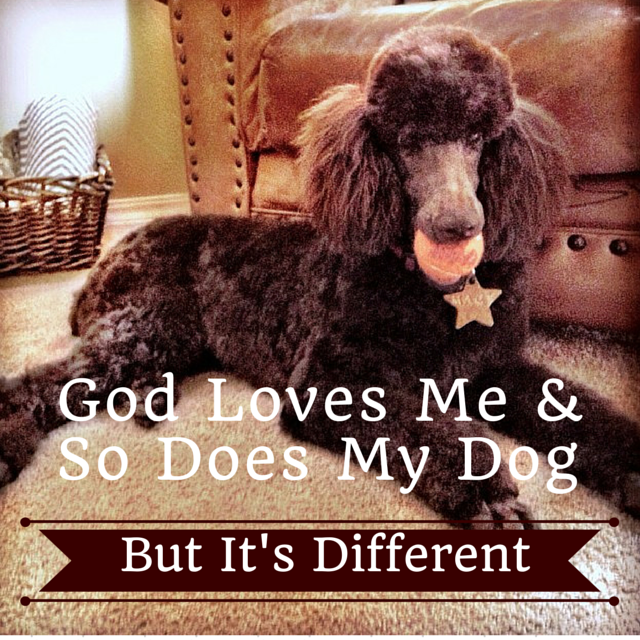 The puppy-dog kind of love doesn’t produce the (seemingly) irrational joy, worship, and sacrifice we see described in scripture. It doesn’t buoy up the soul in the face of great sin and suffering. Unfortunately, in our efforts to make the Bible interesting and relevant, we try to normalize God. I love my dog, and enjoy the way she worships me. And that would be the best word to describe it! But God’s love is different, it’s not about his infatuation with my greatness. One of the reasons we are “yawning at tigers” is because we are not impressed with the love of God. And we are underwhelmed with his love because we don’t understand his holiness, majesty, and greatness. If we did, we would understand our own sin as well and see just how much it cost him to love us. And that would make his love something to live for. I have read a number of books about special operations history, it is a kind of a hobby. Some of these were personal memoirs and others books about unit histories. The First Seals certainly ranks as one of my favorites. It tells a believable story that is still amazing. And it does it without too much machismo or chest pounding. It gives a broad history, but also focuses enough on specific individuals that you can understand the characters. After reading this one, I want to dig into the rest of O’Donnell’s works. If you like books about military history, read this book. If you like books about World War II, you will love the the back story. There are aspects of the war told in this book that I haven’t read anywhere else. Who knew that the Italians were the best in underwater demolition? If you like books about sabotage, espionage, and partisan warfare, read this book. If you like books about entrepreneurship, and people creating new things… If you like the books about people solving problems and taking risks, read this book. Not all creative people work in business. If you’re one of those people who likes fiction, but thinks that truth is often better than fiction, you will enjoy this book. Toward the end of the book when Lt. Taylor (one of the central figures in the story) is rescued from the Mauthausen concentration camp, I teared up. If I hand’t been driving, I would have cried. 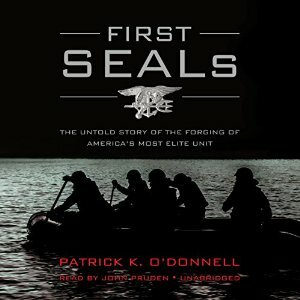 It is a great story not only of the units and tactics that would become the US Navy Seals, but a great example of American Heroism in the fight against fascism. What is amazing is that so many of the other prisoners sacrificed their lives to keep O’Donnell alive because they knew that the world would be more likely to believe an American officer. Taylor would later serve a key role in the investigation and prosecution of Nazi war criminals. You can watch original footage of Jack Taylor’s interview the the US forces liberated the Mauthausen Concentration Camp. He begins talking at 50 seconds into the video. 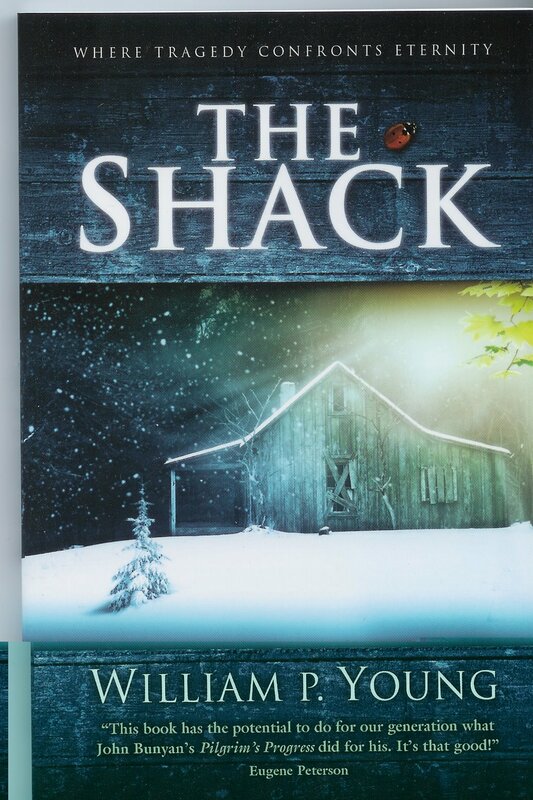 I just came across this great book, which was previously a series of lectures by DA Carson called “The God Who is There.” I am not sure if this is a title connection between Francis Schaeffer’s famous book. Anyway, the idea is to take a jet tour of the big story of the Bible in 14 lectures. Carson is a very learned, clear, and informed communicator and these talks are good! I have been challenged and refreshed. Best of all the talks are intended to be accessible to people who do not have a lot of previous bible knowledge. You can visit the Gospel Coalition page to see the whole series and links to the book. The God Who Is There – Part 1. The God Who Made Everything from The Gospel Coalition on Vimeo. What Books does President Bush Read? Here is an interesting write up on what the president reads. A challenge to anyone who wants to grow as a thinker and a reader. I have been reading this book recently and it has really fed my soul. 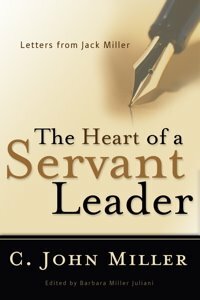 Sooo….in order to convince my pastor friends and aspiring preachers and church planters to buy this book, I decided to read a few excerpts to give you a flavor. There are about 7 minutes of highlights here, I hope you enjoy!